FYI, it's the birthplace of milk tea! (SPOT.ph) A lot of people visit Taiwan to sample the street food at night markets, get “spirited away” in Jiufen, eat some xiao long bao, or check out the artsy destinations in the city. 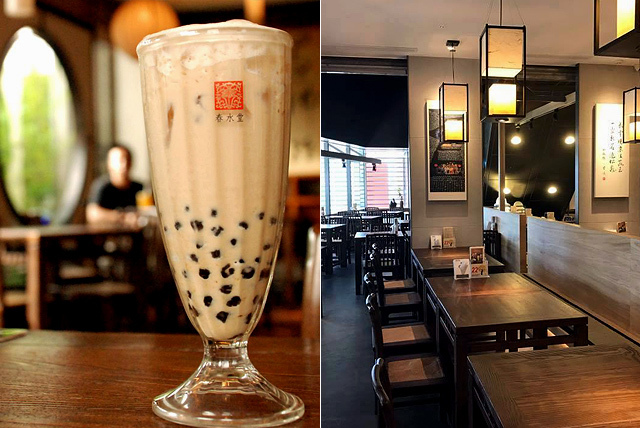 But here’s something that’s worth adding to your itinerary if you’re headed there soon—milk tea! 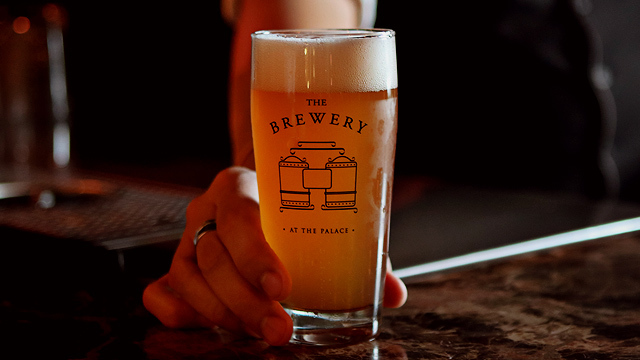 Part of the fun of traveling is getting to know a place by the tastes and flavors it has to offer. Sushi in Japan, samgyupsal in Korea, pho in Vietnam—food always tastes better when you try them in the country where they originated. Even if you can find milk-tea places on practically every street corner in Manila, and you’ve pretty much tried them all, we bet that having the sweet drink in Taiwan is still going to be a different experience altogether. And who can resist milk tea, anyway? 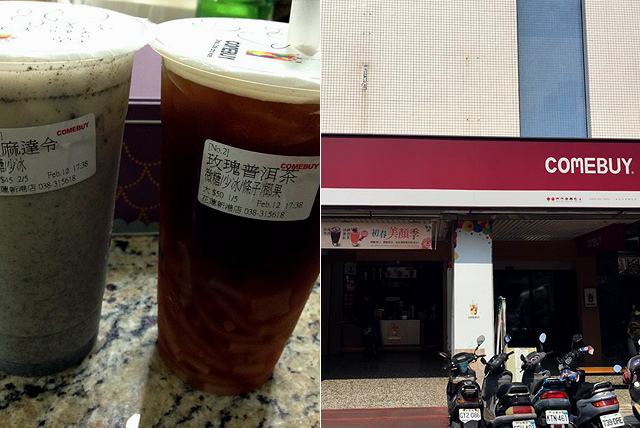 An itinerary filled with bubble-tea places sounds awesome to us! You might ask what Chun Shui Tang’s claim to fame is. Well, it’s where milk tea was invented! Legend has it that the founder of this traditional tea house, Liu Han-Chieh, invented this popular milky drink in the ’80s after he went on a trip to Japan and saw people drinking iced coffee. He thought, why not put ice on milk tea, too? The rest, as they say, is history. Chun Shui Tang has become a well-known tourist attraction in Taichung that you have to wait at least 30 minutes to get your drink. Despite the long lines, it’s still worth a visit. 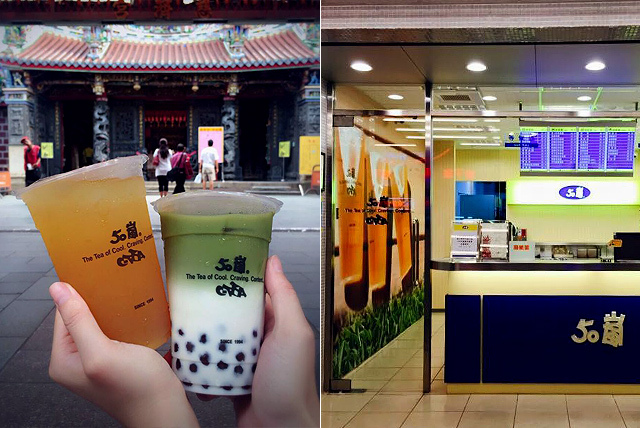 Don’t pass up the chance to try their crowd-favorite Original Pearl Milk Tea, or the drink that started it all. Chun Shui Tang is at 30 Siwei Street, Taichung, Taiwan. We all know that adding cheese to food instantly makes it better—well, most of the time. That’s why we’re not surprised that Lattea's most popular drink, a green-tea drink topped with a tangy cream-cheese froth and a sprinkling of salt, has customers flocking and coming back again and again. 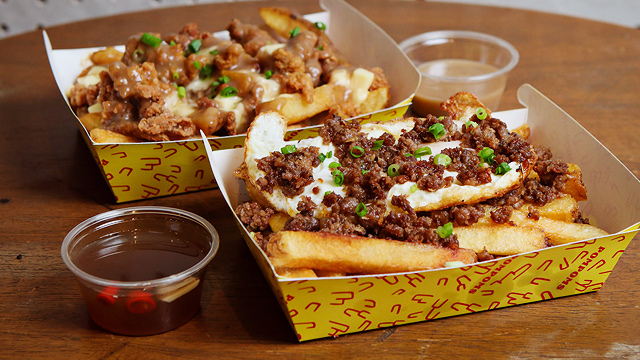 If you’re a fan of this tea-cheese combo, then this is the place to hit up when you’re in Taiwan. Lattea is at 16 Alley 11, Lane 216, Section 4, Zhongxiao East Road, Da’an District, Taipei, Taiwan. Tea party, anyone? Tea Patea has had over 30 years of experience creating this popular creamy beverage. Founded by a former apprentice at Chun Shui Tang, Tea Patea offers the same quality for a fraction of the cost. 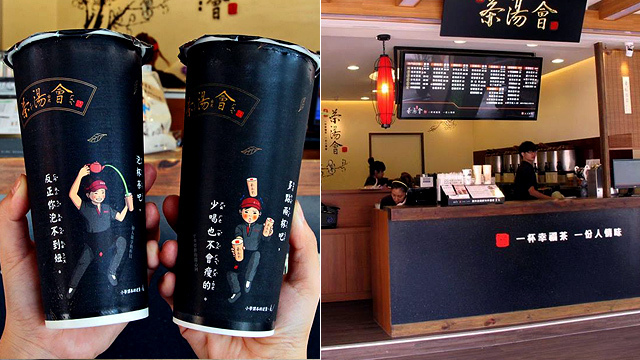 The most popular item on their menu is their Tieguanyin Latte, which is made from premium Chinese oolong tea. The milky, cold concoction shouldn’t be missed! Tea Patea is at Tamsui Old Street, Taipei, Taiwan. What sets 50 Lan apart from other milk-tea places in Taiwan is they use fresh milk instead of the usual creamer in their milk tea. Also, you can mix-and-match their various teas with a wide assortment of toppings so you’ll never run out of options. The combinations are just endless! In spite of their hundreds of variations, people rave most about their Hazelnut Milk Tea, a nuttier take on the sweet-cold drink. 50 Lan is at Shilin Night Market, Shilin, Taipei, Taiwan. You know a place is worth checking out when there are long lines of tourists and residents outside the shop, and this milk-tea place have the Taiwanese queuing up for hours! Offering a wide variety of milk teas, from the classic black tea-based drinks to more adventurous flavors, Guo Sister Tea House in Taichung will leave you dreaming about their milk tea for days. Guo Sister Tea House is at Taichung, Taiwan. Presotea’s milk teas are known to have a deeper and more intense flavor because their milky bobas are brewed fresh from individual tea bags using an espresso-type machine. If that’s not enough reason to visit, we don’t know what is. 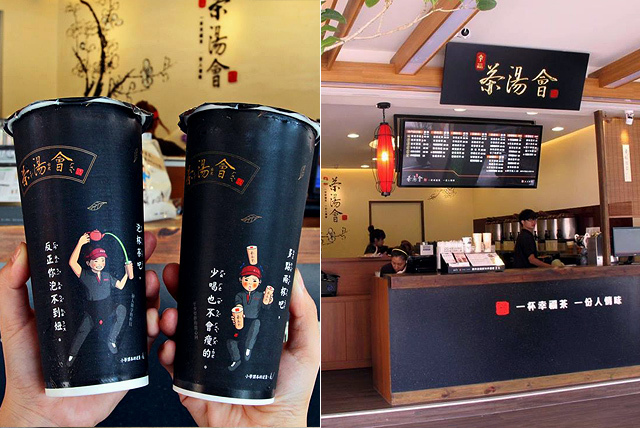 Some of their popular drinks include the Panda Milk Tea and Passionfruit QQ. Presotea is at No. 100, Sec. 2, Wuchang Street, Wanhua District, Taipei, Taiwan. If you’re looking to try something different, like a tea drink with a little more zing, then you can’t go wrong with KingTea’s beverages. Besides their milky offerings, they also provide refreshing and citrusy drinks made from fresh lemons and lime to beat the humid Taiwan summer. We hear their Lemon Green Tea is king! KingTea is at Wanhua District, Taipei, Taiwan. This milk-tea place uses milk instead of creamer and fans of this particular brand swear that the pearls, which have a lovely, rich amber color, are just TDF. Meanwhile, their cute and super IG-worthy tea packaging reads, “A cup of tea solves everything.” It’s hard to argue with that when you’ve got a yummy serving of Queenny’s famous milk tea. Queenny is at Neihu District, Taipei, Taiwan. Known for their high-quality, loose-leaf Chinese teas (try their Oolong and green tea variants), you can expect only top-notch teas to be used for their milky beverages. Although TenRen is quite popular for their plain, iced teas, their 913 Ginseng Oolong Tea Latte is another thing to look forward to for its unique and aromatic qualities. TenRen is at Chung-Hsiao, East Road, Taipei, Taiwan. 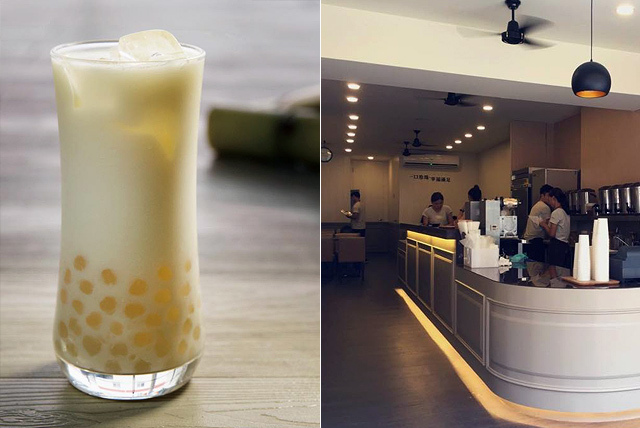 Another milk tea place that uses an espresso-like machine to create lip-smacking brews is Comebuy. Their teas are freshly brewed on the spot, providing bolder flavors and aromas. This milk-tea shop has many sweet flavor combinations to choose from, but their Peach Oolong Tea keeps their customers coming back. Comebuy is at ZhongShang District, Taipei, Taiwan.